This morning my Twitter account was locked by an algorithm. Update 3pm: My account has now been restored, with the help of some little birdies who saw this blog post. The tweet inspired me to make a joke. 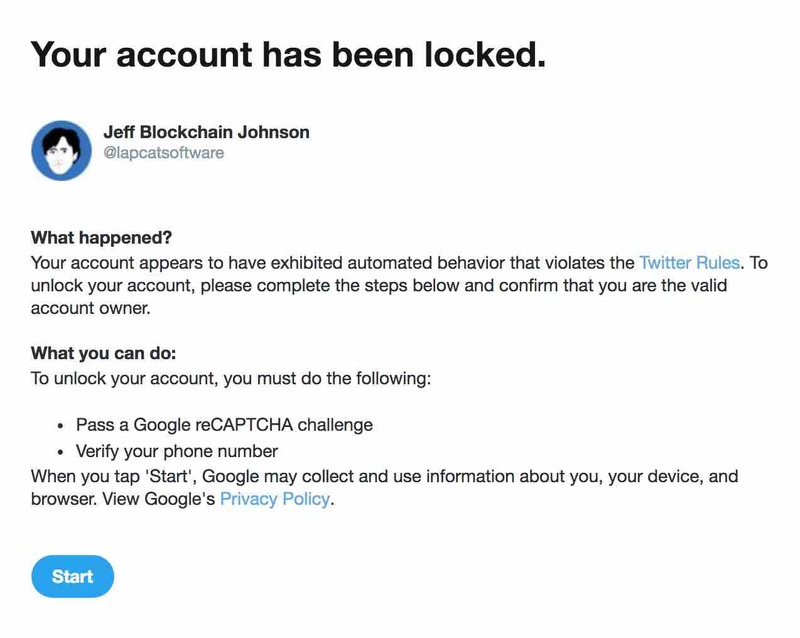 I changed my profile name from "Jeff Johnson" to "Jeff Blockchain Johnson", and then I tried to retweet that tweet. When I did, Twitter automatically locked my account. That's it. That's enough to get my account locked. I refuse to give Twitter my phone number. 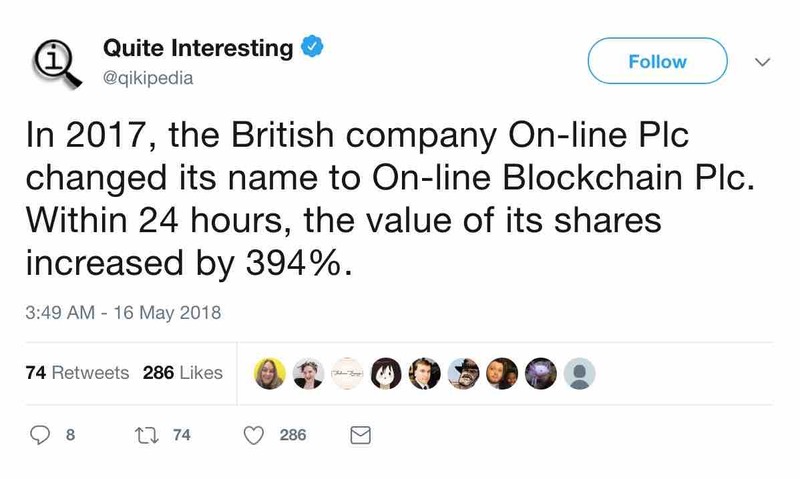 Twitter is an advertising company, so why should I share that information with them? I even use a special dedicated email address for Twitter that I can throw away in case they abuse it. Moreover, Twitter recently exposed the passwords of its own users in its logs. Why in the world would I trust Twitter with any information? If Twitter won't unlock my account without my phone number, then I guess I have just quit Twitter. Again.